There is nothing like a sewing challenge to spark creativity! I will be at SewExpo in Puyallup, WA the first week of March as an attendee. As part of the SewExpo Facebook group, the discussion came up about different totebag pattens and ideas. I’ve been looking for a reason to make a “workhorse” type tote – to carry my ipad, notebook, wallet, phone, pen and of course be able to carry some of my shopping finds from the vendor area. 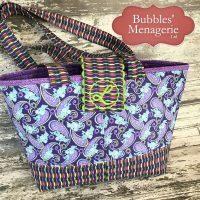 There is no surprise that I wanted to incorporate embroidery into this project, so I headed to my pattern and fabric stash to find a suitable candidate. 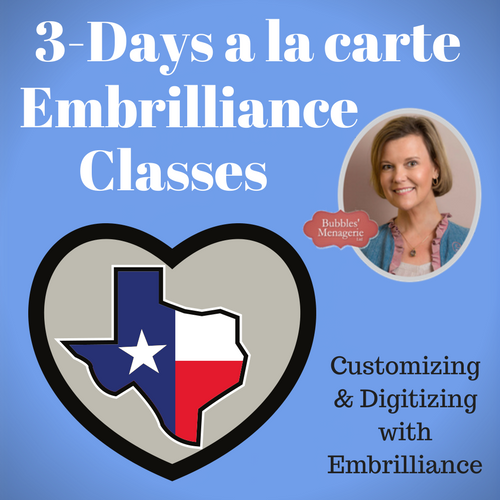 Incorporating embroidery allows me to use this as a sample in my upcoming hands on software classes and events! For the fabric, I wanted to use some pieces from a collection I had gotten from EBI Fabrics. 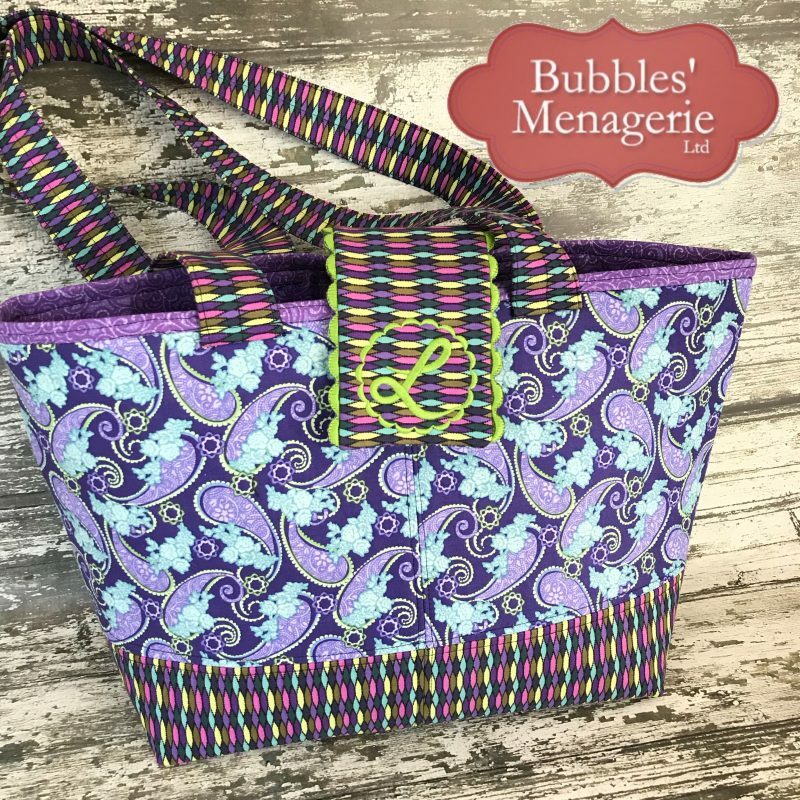 I was a bit nervous about the larger paisley print with the geometric style fabric, but I love the colors and knew this would be a great project for this fabric. Now, all I had to do was figure out how to incorporate embroidery. 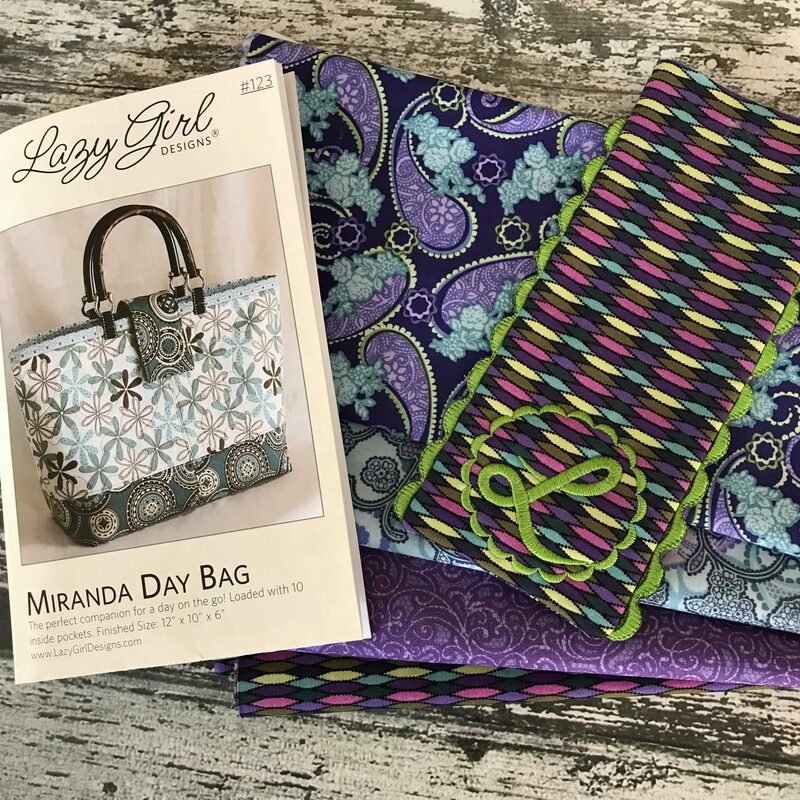 The flap of the Miranda Day Bag had my full focus. I really wanted the embroidery to tie in with my fabric selection so I spent some time looking at the patterns on the fabric to see what my options were. My eyes were drawn to the scalloped borders around the paisley shapes as well as the wavy circles that fell in between. These ideas became the plan for the embroidery designs. I was envisioning free standing lace along the edges with my initial in a scalloped frame at the front. Step 1 was complete – create the big picture plan. 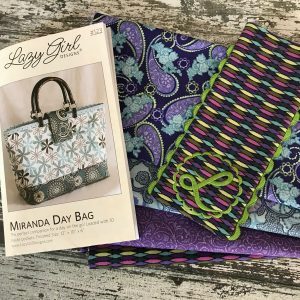 I hope that you will follow along in my journey of creating the embroidery designs for the Miranda Day Bag.